Last month at a press conference, Finland’s participation at Expo 2020 Dubai was officially confirmed by Severi Keinälä, the commissioner general of Finland for Dubai Expo, and Najeeb Mohammed Al-Ali, executive director, Dubai Expo 2020 Bureau. Finnish Ambassador to the UAE, Riitta Swan, also graced the occasion. In addition to technology and sustainability, the UAE and Finland are also continuing to strengthen ties from a tourism perspective. Finnish national carrier, Finnair operates a service between October and March and Flydubai recently announced a year-round daily service to the Finnish capital Helsinki. Together they provide a solid bridge between the two countries. Nature continues to be Finland’s top attraction. In 2017, Lonely Planet selected Finland as the third best destination and last year Finland was also named the safest travel destination in the world by the World Economic Forum. 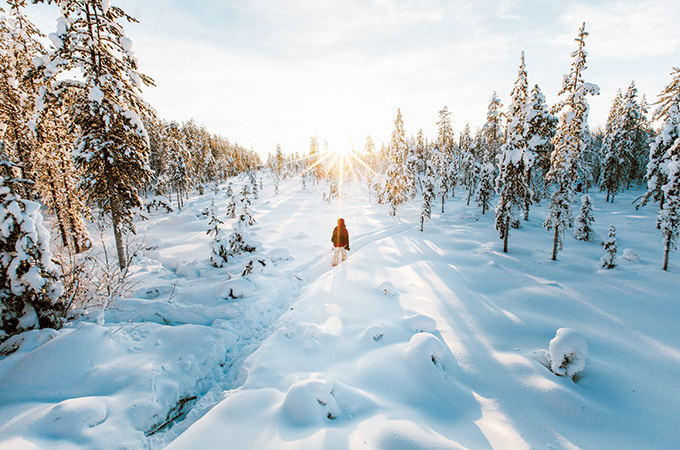 Finland can offer unique experiences to a range of different travellers year-round. It is full of interesting contrasts, the Midnight Sun and winter darkness, urban and rural, East and West. New aspects of nature travel are the healing power of nature and well-being tourism that is built around nature experiences and services. Today, Finland is also regarded as a destination with a fascinating and unique urban culture. The new Finnish food scene and Helsinki’s design district are excellent examples of this. “As a result of increased connectivity and dedicated marketing campaigns to the Middle East we’ve seen a huge rise in interest in Finland, particularly from the UAE where visitors increased by 30 percent in 2017, and with figures earlier in the year indicating an even stronger performance in 2018 we fully expect numbers, and receipts, to exceed 2017 levels,” said Joonas Halla, PR and media coordinator, VisitFinland. THE most extreme business event in the world will take place again next March in Oulu, Finland, and it is rightly themed Business Unusual. The event will see participants pitch their ideas from an ice hole carved in the frozen Baltic Sea, an activity Finns lovingly call Polar Bear Pitching. Arctic circumstances have always forced people to come up with innovative solutions and this is what Polar Bear Pitching encourages. There is no limit for the duration of pitches in this competition, you can pitch from the ice hole as long as you enjoy staying in zero-degree water. Last year, the outside temperature during Polar Bear pitching was around -20 Celsius, which kept the average length of pitches around two minutes. Semi-finals will be held on March 12 in Oulu. Start-ups can make their way to finals from there. Wednesday, March 13 kicks off with a conference and culminates to the adrenaline-pumping finals at Oulu market square. There will be massive festivities around the whole market square during the finals. The main prize for the winner will be around $11,318.